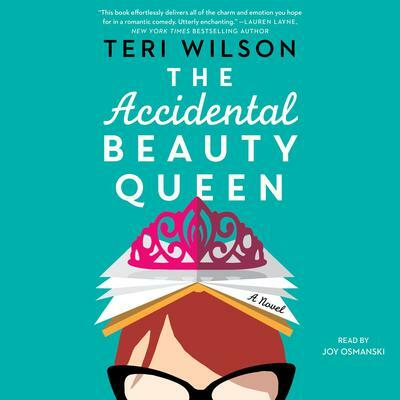 In this charming romantic comedy perfect for fans of Meg Cabot and Sophie Kinsella, critically acclaimed author Teri Wilson shows us that sometimes being pushed out of your comfort zone leads you to the ultimate prize. Charlotte Gorman loves her job as an elementary school librarian, and is content to experience life through the pages of her books. Which couldn’t be more opposite from her identical twin sister. Ginny, an Instagram-famous beauty pageant contestant, has been chasing a crown since she was old enough to enunciate the words world peace, and she’s not giving up until she gets the title of Miss American Treasure. And Ginny’s refusing to do it alone this time. 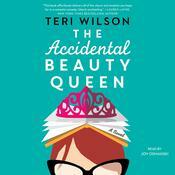 She drags Charlotte to the pageant as a good luck charm, but the winning plan quickly goes awry when Ginny has a terrible, face-altering allergic reaction the night before the pageant, and Charlotte suddenly finds herself in a switcheroo the twins haven’t successfully pulled off in decades. Woefully unprepared for the glittery world of hair extensions, false eyelashes, and push-up bras, Charlotte is mortified at every unstable step in her sky-high stilettos. But as she discovers there’s more to her fellow contestants than just wanting a sparkly crown, Charlotte realizes she has a whole new motivation for winning.